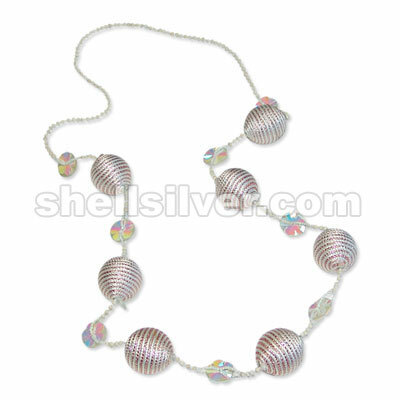 Endless necklace 44" in 2-3mm coco beads super bleach, sequence flower rainbow white, 20mm hammer sh more.. 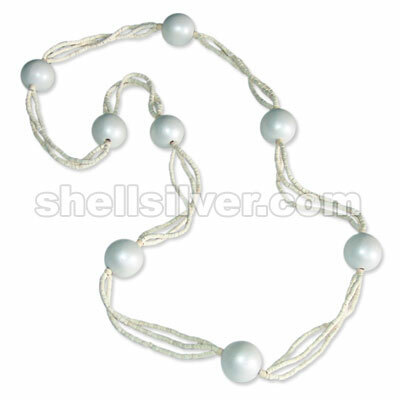 Endless necklace 42" in 2-3mm coco heishe super bleach & 25mm wood bead painted pearl white fashion more.. 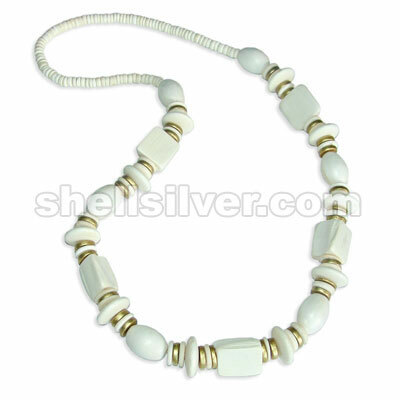 Endless necklace 46" in 2-3mm wood heishe bleach white, 4-5mm coco heishe painted white, 25mm & 30mm more..
Necklace 32" in 2-3mm coco beads bleach white, 2mm glass beads white, acrylic crystal, 25mm capiz sh more.. 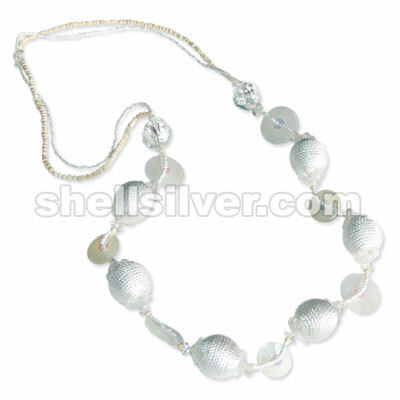 Endless necklace 36" in 2x4mm plastic tube clear rainbow white, 4mm glass beads cream, 8mm limestone more.. 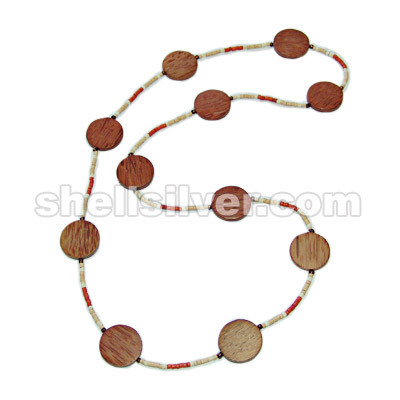 Endless necklace 35" in 7-8mm coco pukalet super bleach, 18x28mm wood oval bleach, 15mm coco pukalet more.. 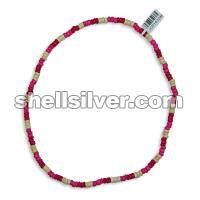 Endless necklace 42" in 4-5 coco pukalet yellow, 2-3 coco bead nat. brown & white, 4-5 bayong wood b more.. Endless necklace 42" in 2-3 coco heishe cream, super bleach & dk. orange, 4mm antq. 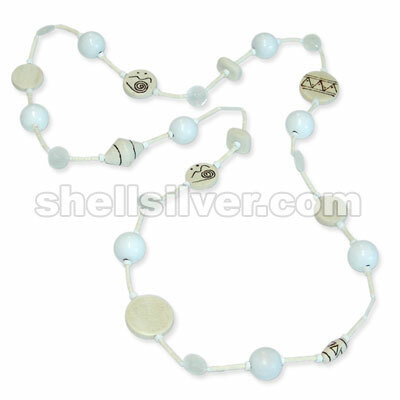 beads & 30mm pal more.. 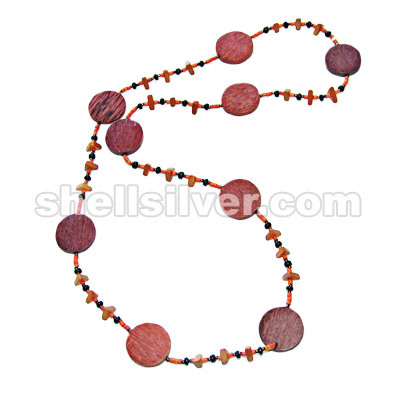 Endless necklace 44" in 3mm glass beads black & rainbow rust, 4-5 coco heishe super bleach, 4-5 coco more.. 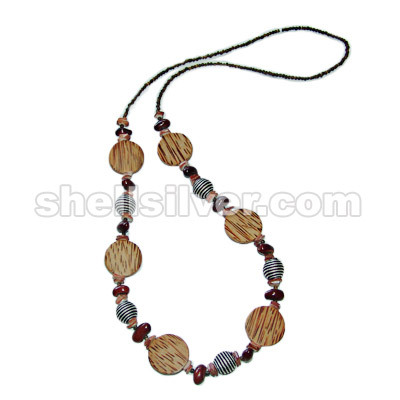 Endless necklace 38" in 2-3 coco heishe brown, 3mm antq. 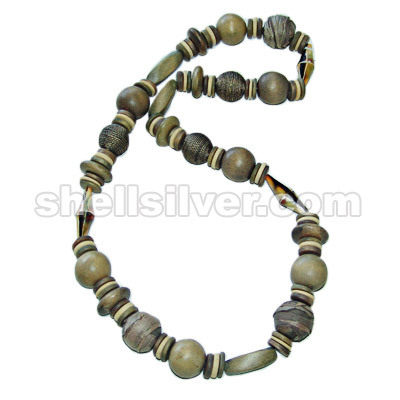 beads, 4-5 coco pukalet black, bayong wood more..
Necklace 34" in 15mm wood pukalet gray & super bleach, 25mm wood bead gray, 20mm abaca rope bead gra more.. 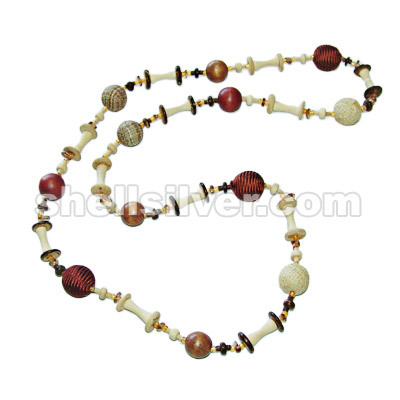 Endless necklace 41" in 4mm glass beads brown & choke bead pink, 7-8 coco pukalet nat. brown, 15mm c more.. 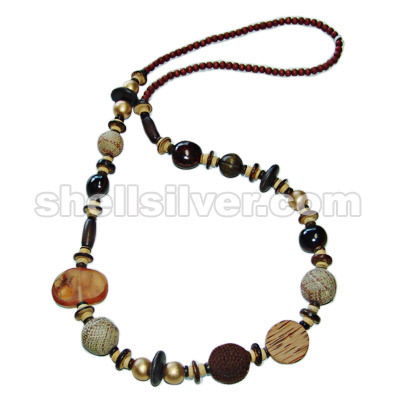 Endless necklace 41" in 4mm glass beads brown & choke bead black, 7-8 coco pukalet nat. brown, 15mm more.. 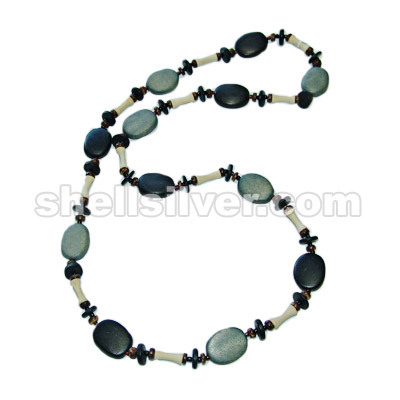 Endless necklace 44" in 2-3 coco heishe black, brownlip sqr. 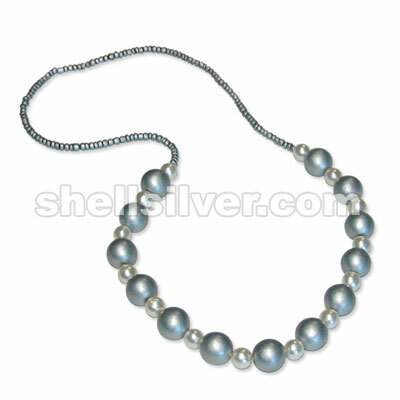 cut, 4mm hematite beads, 12mm pearlized more.. 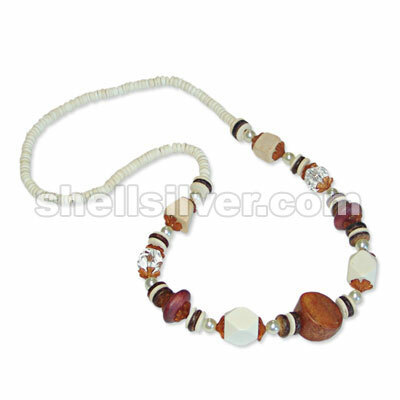 Endless necklace 44" in 4mm glass beads clear brown, 2-3 wood heishe bleach white & natural brown,7- more.. 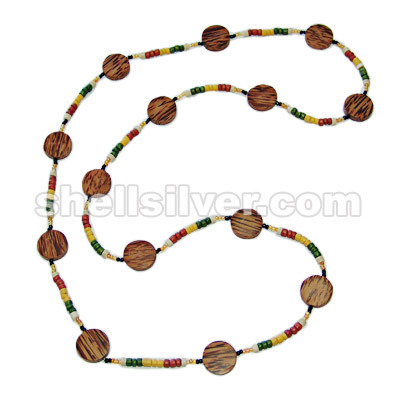 Endless necklace 34" in 7-8 coco pukalet brown tones, 25mm wood flat round black, 20mm & 25mm raffia more.. 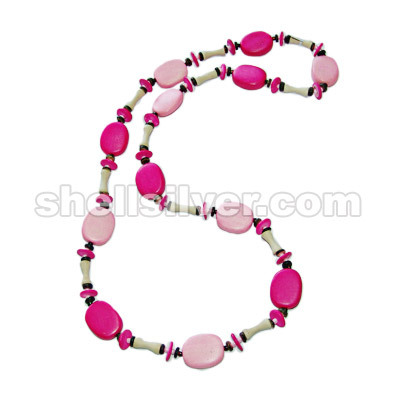 Endless necklace 39" in 2-3 coco beads nat. brown, whiterose dyed brown, dap-dap seed, 30mm palm woo more.. 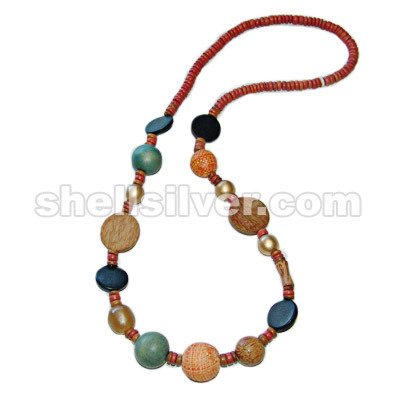 Endless necklace 42" in 6mm wood bead brown, 7-8 coco pukalet natural brown & bleach white, 15mm woo more.. 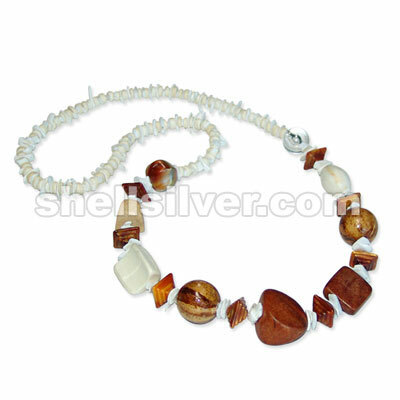 Endless necklace 36" in 7-8mm coco pukalet super bleach, whiteshell manol, marble sqaush, 20mm acryl more.. 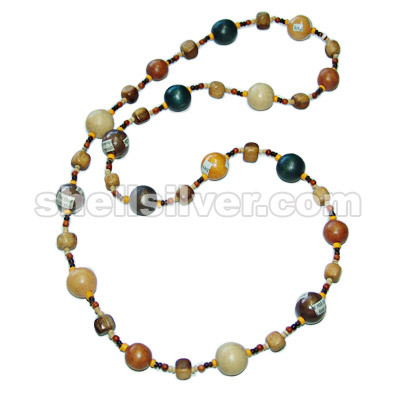 Endless necklace 31" in 4-5mm coco pukalet silver, 12mm pearlize beads offwhite & 18mm wood beads si more.. 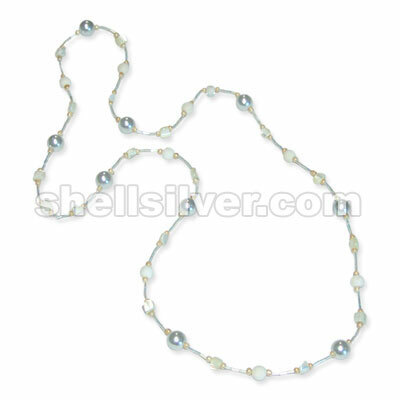 Endless necklace 34" in 7-8mm coco pukalet super bleach, 15mm coco pukalet bleach white & nat. brown more..